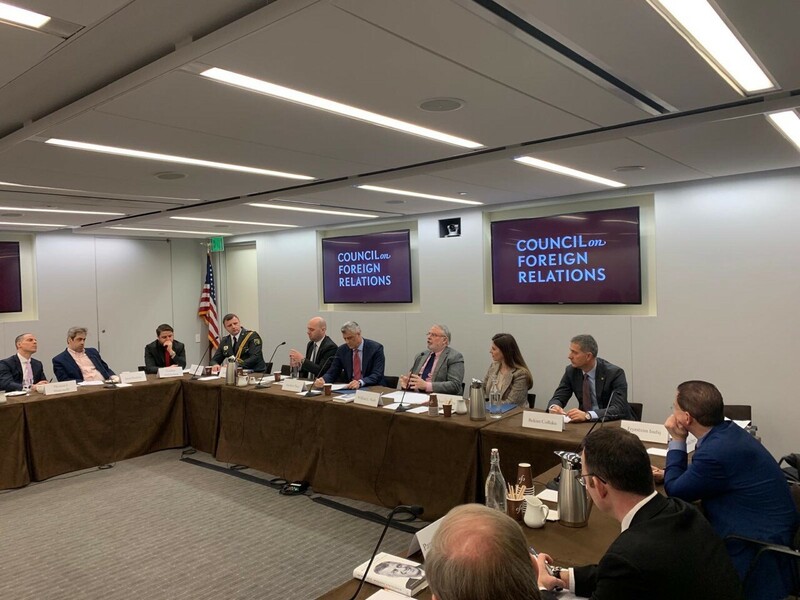 The President of the Republic of Kosovo, Hashim Thaçi, held a conversation at the “Council on Foreign Relations” in Washington DC, where, in front of an audience of regional specialists, he spoke about the efforts to reach a peace agreement between Kosovo and Serbia. “The comprehensive peace agreement between Kosovo and Serbia will bring peace to Kosovo, peace and stability to the region and will have a transformative role in our society”, said President Thaçi. “The reaching of the agreement between Kosovo and Serbia will be no easy process, but it is the only way forward to avoid turning back into tensions and conflicts”, added President Thaçi. The Head of State stressed that the main purpose of the agreement is the recognition of Kosovo by Serbia and Kosovo’s membership into the United Nations. Explaining why the circumstances are favorable for a comprehensive agreement between Kosovo and Serbia, President Thaçi stated that this time it appears that Serbia is also interested in reaching an agreement with Kosovo, while even Russia seems ready to accept an agreement that would be reached between Kosovo and Serbia. Whereas, speaking about the role of the United States of America, President Thaçi said that Washington’s support is vital to Kosovo. “Whenever Kosovo has been united with the United States, it has resulted to be victorious. Even if the made compromises seemed tough at first, it later proved to be the best strategic decisions”, stated President Thaçi. “The support of the United States for the peace agreement between Kosovo and Serbia is vital to Kosovo. We will not accept an agreement that is not acceptable to Washington as well”, he added. In this conversation, President Thaçi has also received questions from the audience. James Pardew, an American diplomat and one of the US representatives to Kosovo in 1999-2001, made a question about the border correction issue. In his response, President Thaçi said that one of the points of the comprehensive peace agreement between Kosovo and Serbia will certainly be the definition of the border between Kosovo and Serbia. “One of the points will also be the demarcation of the border between Kosovo and Serbia”, said President Thaçi, adding that “this is an opportunity to correct the border in northern Kosovo and south Serbia as well”. “If a slight border correction is the price for a final peace agreement, then this will have to be acceptable”, he said. “But strategic points like the Ujmani Lake, the entire city of Mitrovica, Trepça, these are non-negotiable resources”, affirmed President Thaçi. Other participants have also asked about economic development and reforms in Kosovo, about which President Thaçi stressed that they are success stories, but that their successful continuation depends on the establishment of political stability.